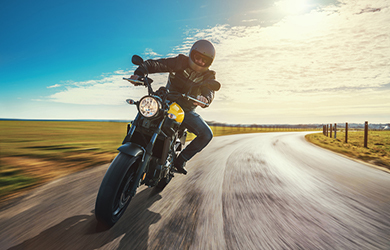 Passing your CBT test, or even better still passing the direct access course, which will allow you to choose whatever bike you like, means that you’re now in the market for buying your first motorbike. It’s an exciting time and hopefully the start of many memorable rides to come! We’ve all been there and passing your test is a day you’ll likely not forget in a hurry. Passing your test, however, typically means your opportunity to ride a bigger bike. Exciting. The most common reason for buying a second hand bike is the price. In many cases, you’re able to get a bike in great condition which has already depreciated in value from its as-new price. You get the benefits of a great bike at a lower price. You do need to consider any potential risks when buying second hand, however, and also know what to look for. That aside, however, there’s a great second hand bike market in the UK and you shouldn’t struggle to find the bike of your dreams. Spoiled for choice? We’re sure you are. There are lots of second hand bikes out there on the market, and it’s worth knowing a few tips that will help you not only decide which bike is best for you, but how to decide that the one you’ve fallen in love with, is a good’un? A couple of obvious things first. Are you going to be a commuter on your new machine, or is it just for sunny days? Sports or tourer? Will you be taking a passenger? If you’re tall, then you might want to think about a physically bigger bike that won’t cramp your knees after twenty minutes riding – BMW’s are always big! You’ll need to consider all these when deciding what sort of bike you want and it pays to know what sort of bike you’re looking for before spending too much time researching. There’s a good chance you’ll already know this, however, and are eager to find your new bike. Then, of course, is the consideration of engine size. Again, this will be largely dictated by your intended use for the bike. The more miles you intend to ride, the bigger the engine is a rule of thumb. An easy guide if you’re going to commute is that you should add 100cc’s to every ten miles you are going to travel each way. With this in mind, a 12-mile commute needs only a 125cc bike whereas a 75-mile ride each way warrants a 750cc bike. Understanding your intended use for the bike not just now but in the coming months is key to finding the right model. Second-hand bikes are easily bought from main dealerships, just like cars, and although you’ll pay a higher price, the bike is more likely to have been properly serviced by them and fully checked over before being offered for sale. You’ll also get more buyer protection if something goes wrong. Their second hand offerings are typically those which have been traded in by other motorcyclists who themselves have moved on to a new bike. You’ll often get peace of mind when buying from a main dealer that you’re buying a bike which is in great condition which has been looked after. An alternative to buying from a main dealer, whilst staying away from private purchases, is an independent motorbike garage where you can also find well-looked after examples. eBay and other marketplaces are, of course, where the majority of bikes are sold, and the reason for this is that the seller is likely to get more money for his or her machine by presenting their bike with great photos and a good write-up than they would by selling to a dealer. When buying privately, though, you need to be careful. There is usually very little comeback with an eBay seller. You buy as seen and have little in terms of a guarantee. With that in mind, you need to understand the risks and know what to look for and fully check over the bike. Don’t forget, if a purchase seems too good to be true then it probably is. If you’re going to buy from eBay or other marketplaces, you really do need to do your homework first and take someone else with you to view it – there are some scoundrels out there and unfortunately, scams are more common than you’d like to think. What to look for in a second-hand motorcycle? So, you’ve decided which make and model you’re going to get. You’ve considered your options in terms of where to buy from and you’ve worked out which type of bike will best suit your needs and your budget, and you’ve narrowed it down to several good-looking examples with great service histories and lots of shiny chrome. The problem now is how you know what the bike is like on the inside. A bike can look great on the outside, aesthetically, however we all know there’s far more to a great bike than just how it looks. If your knowledge of motorbike engines and the particular model you’re after is limited, then find a friend you can trust who can help. There are, however, a number of things you can check over yourself, pulling together a checklist of things to look for and consider. What’s the first impression? Does it look like a beauty or does it look like it’s not been loved? If you have reservations upon first seeing the bike, consider walking away and looking at alternatives. It’s important to always trust your instinct when buying second hand. Ask the seller to start the bike for you; listening for either a low frequency sound from the sump (which could mean the engine has gone and needs a rebuild) or a high frequency tapping from the cylinder head (the top of the engine; this may mean the tappets need replacing). If you’re not hearing these sounds; great. Hold a gloved hand over the exhaust for 5 seconds and listen out again to ensure you’re not hearing these. Can you push the bike along – are the brakes binding? Are the brakes discs clean? If they are scored then they could have been damaged by worn pads. Check all the lights, indicators, horn etc. Electrical faults can be a nightmare to fix. Check the steering bearings – do they move freely without any clicking when rocked with the front brake on? Can you see any visible oil leaks or oil coming from the cylinder head? Does the suspension move up and smoothly without any noises? Be sure to also check the forks for any rust holes. There should be around an inch and a half of slack on the chain; have a quick check that there’s no more slack than this otherwise it could mean a new chain and sprockets could be needed. There should be tyre tread of at least 1mm. Anything less than this is illegal, however you don’t want to be replacing tyres as soon as you buy the bike unless this is reflected in the price paid. If you get a chance to ride the bike, then be aware that your willingness to purchase a machine that has been cleaned especially for your visit will cloud your judgement. Get your friend to ride it. Check the legal documents carefully. Buying a stolen bike is easier than you think. You need to inspect the log book (V5), an MOT certificate if the bike is older than 3 years and also the service history. Carefully check the log book against the bike itself; inspecting the watermark, checking that frame and engine numbers match and that the name, address and details noted match where the bike is kept currently. Don’t buy without a watermark on the log book. The others could have a valid reason; but be sure to question anything you’re unsure of. It’s also strongly recommended that you carry out an HPI check on the bike which will provide you with a full history on the motorcycle. Never part with the cash until you’re completely comfortable with the bike, have checked everything and are happy that the bike is worth the asking price. Don’t be afraid to haggle should you feel you need to. Buying your first second-hand bike is both exciting and slightly fraught. You’ll want to know that you’ve bought the right bike and that you’ll be able to ride it easily. You’ll also want to know that it is a ‘good’un’. Just be sure to do your homework, and everything should be fine. Good luck and enjoy your new bike!